Samsung is gearing to launch its Galaxy S10 line-up come February 20. Although at this point, it seems more like a formality than anything since almost everything about it has leaked online, already. To be fair, there is no escaping rumour mills these days. The Galaxy S10 isn’t the only high-end phone that has been leaking left, right and center and it certainly won’t be the last. Regardless, Samsung will have a lot riding on the Galaxy S10 (the Galaxy S9 and Galaxy Note 9 haven’t exactly been super successful) and all the leaks and rumours have painted a pretty picture so far. Enough to warrant interest. 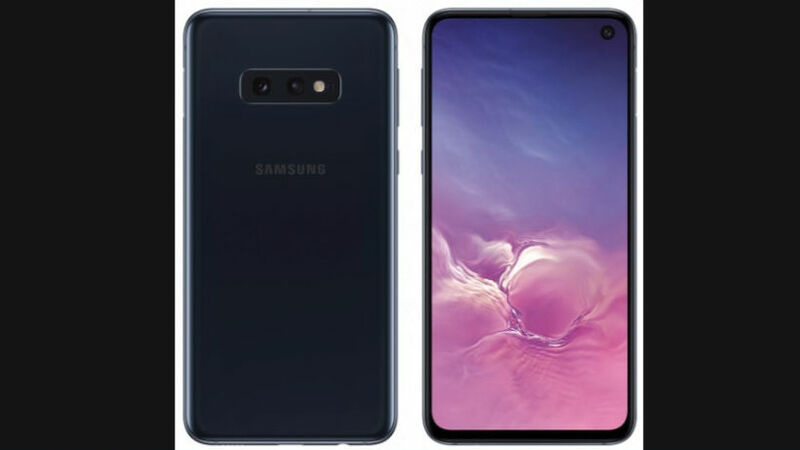 A new set of Galaxy S10 leaks show off the Galaxy S10 and the ‘affordable’ Galaxy S10E from the front as well as from the back. They do not add anything extra (beyond what we have already known) but because they’re coming from serial tipster Evan Blass, we have reason to believe, this might be the real deal. That’s not to say, the renders are any different from what we’ve already seen. 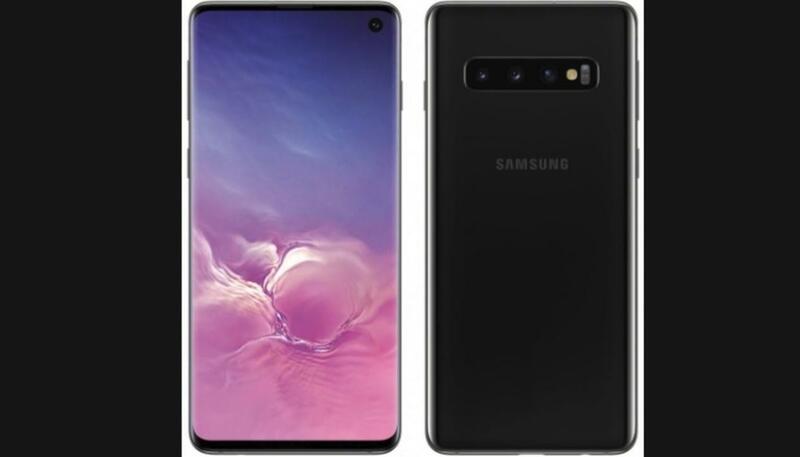 Both the Galaxy S10 and Galaxy S10E pack a new design scheme, with punch-hole selfie cameras. The Galaxy S10 (and Galaxy S10+) will continue to rely on its glorious curves to make a selling (no one else does curved screens better than Samsung) while the Galaxy S10E will have a flatter bezel to seemingly justify its relatively lower price tag. The Galaxy S10E will also be the smallest of the lot, with a purported 5.8-inch screen. It will be available in a slew of fancy colours including an in-your-face Canary Yellow, although the render shared by Blass shows the black variant. Both the Galaxy S10 and Galaxy S10E will come with a single selfie camera embedded into the display. 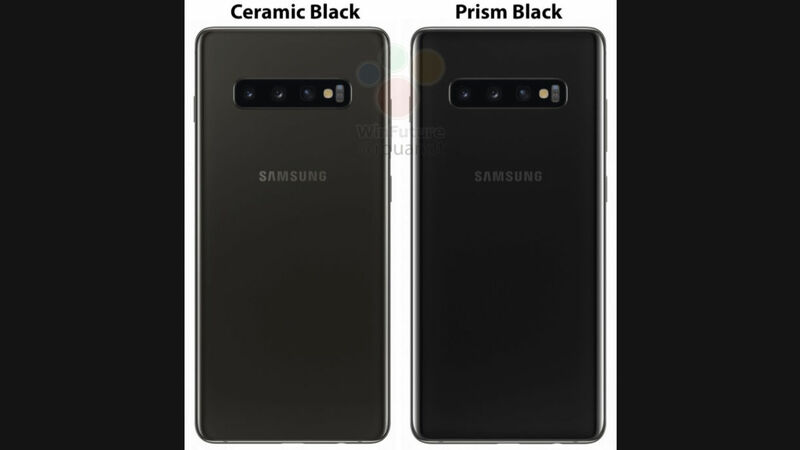 But while the Galaxy S10 will come with three rear cameras, the Galaxy S10E will have to make do with just the two. Samsung has been secretly working on a crazy high-end variant of the Galaxy S10+, and it seems like it would market it as a limited-edition product. Samsung does not usually do limited-edition products, but this year is different. Samsung really wants to up the hype and launching a limited-edition product does bring in lots of hype. The highest-end variant of the Galaxy S10+ or the limited-edition Galaxy S10+ will reportedly be made of ceramic (a first for Samsung) which will be scratch resistant and also resistant to falling. A recent render of this variant placed next to the standard Galaxy S10+ made of glass dropped major Easter eggs around what could be in store. The limited-edition Galaxy S10+ will have a smooth matte finish and probably won’t be as reflective and glossy as the all-glass Galaxy S10+. It will be chunkier too. The limited-edition Galaxy S10+ is further said to pack 12GB RAM and 1TB internal storage, in addition to a higher price tag. Some reports are also hinting at as many as 6 cameras (4 on the back and 2 on the front) and a massive 5,000mAh battery to tag along. Samsung will officially launch the Galaxy S10 at its Unpacked 2019 keynote event in San Francisco on February 20. It is expected to kick-off pre-orders from the next day itself, probably 12AM February 21 (in US time) and shipping is expected to commence from March 8. Samsung will reportedly launch the Galaxy S10 in India on March 6 and start shipping from March 15. Samsung’s next-generation flagship will be available online from Flipkart, in addition to the company’s e-shop and various other offline sales channels. Both Flipkart and Samsung’s e-shop have started teasing the Galaxy S10 launch with a dedicated notify-me/register your interest page on their respective platforms seemingly confirming an imminent launch soon.